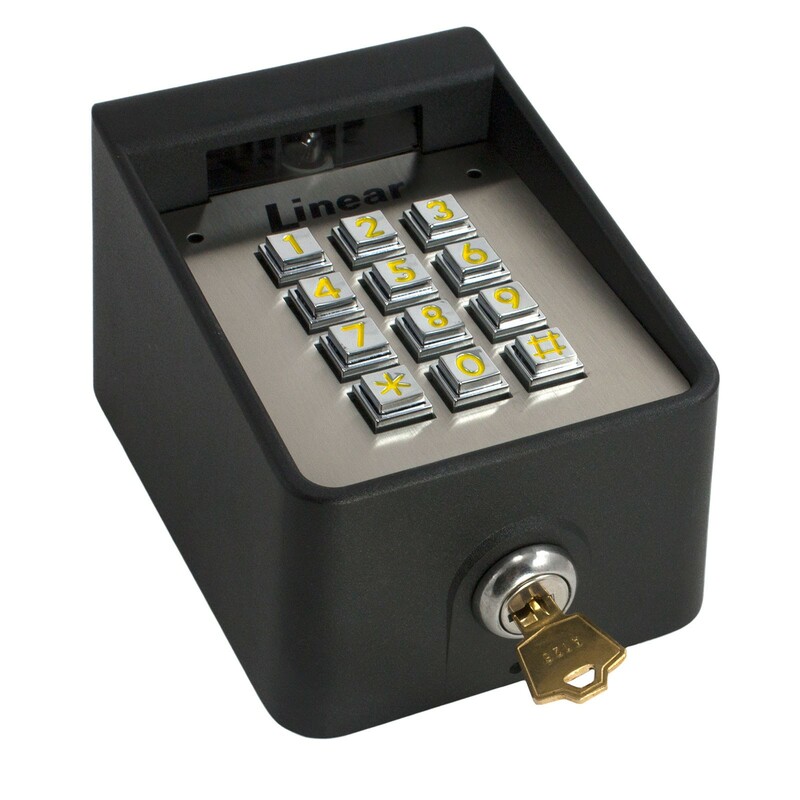 The Model AK-11 Exterior Digital Keypad is a digital keyless entry system designed for access control applications. 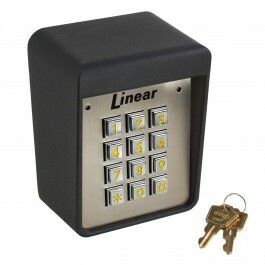 The keypad is housed in a rugged cast aluminum enclosure that can be mounted to a pedestal or bolted directly to a wall. The die-cast keys have bright, easy-to-read yellow graphics. Two indicators show the status of the entry system. The left indicator lights red to indicate power, then turns green when access is granted. The right indicator lights yellow when the keypad is in lockout condition (from too many incorrect code entries). The keypad's courtesy light illuminates the keys. The light can be programmed to activate indefinitely, or for 1, 2, 3, or 4 minutes after the last key press, or not light at all. An internal sounder beeps when each key is pressed. 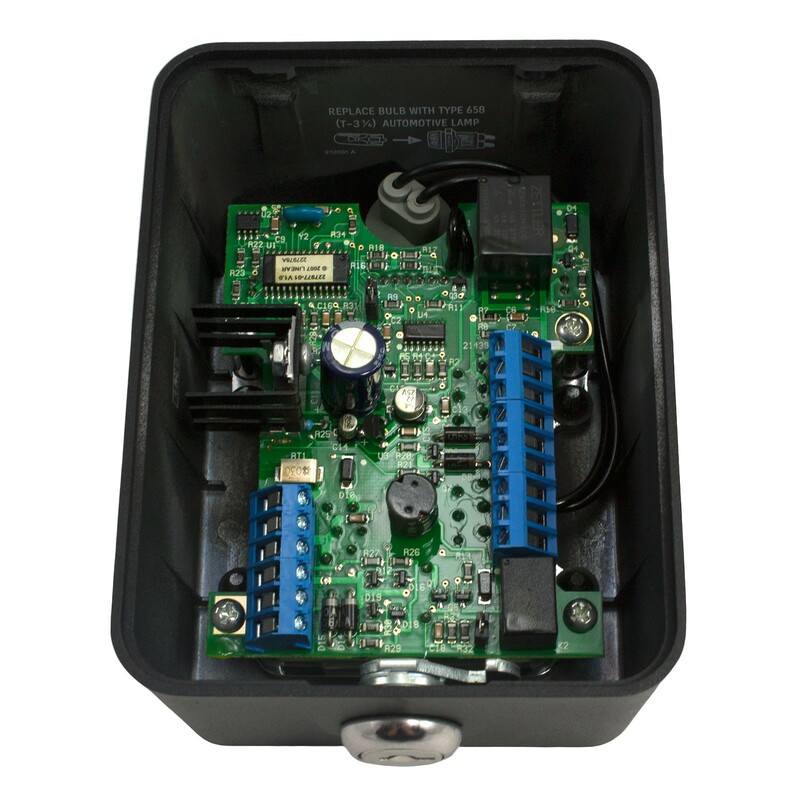 The AK-11 is powered from a 12-24 Volt AC or DC source. 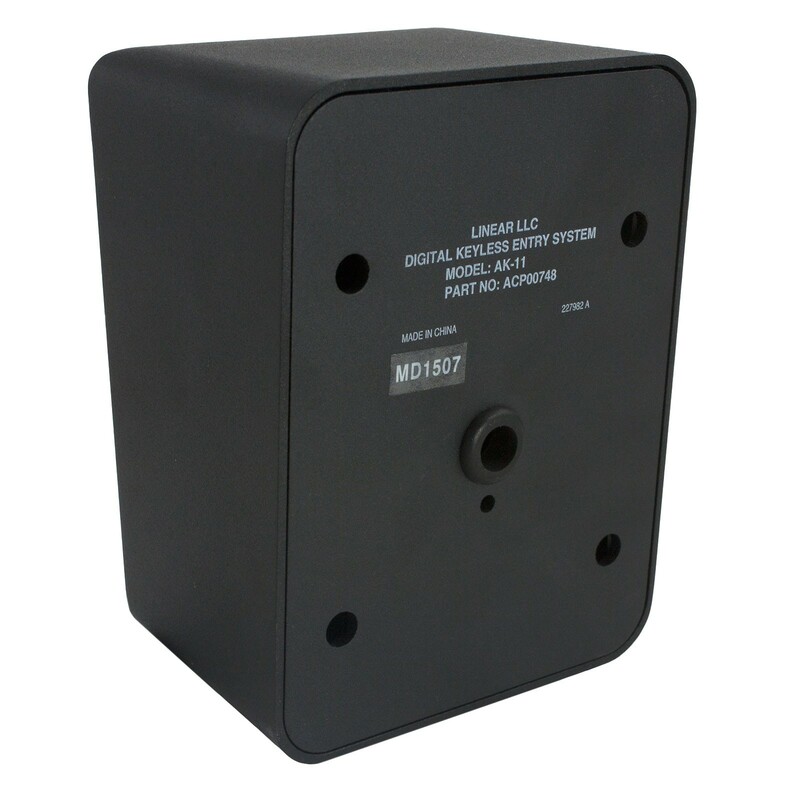 Power can be obtained from the access device or a separate power supply. The EEPROM memory retains all entry codes and programming, even without power.